Today we will continue with our last post Azure – Resource Providers with PowerShell and CLI and discuss about one more approach to work with Azure Resource Provider and that is through Azure Portal.In our last article, we have described, how to work with Azure Resource Provider using PowerShell and Azure CLI. In our last post, we have discussed that, the resources in our resource groups are created and managed by Resource Providers. Each resource provider knows, how to manage and configure their resource. As we have discussed, how to interact with Azure Resource Provider using PowerShell and Azure CLI. Today in this article, we will go with Azure Portal. 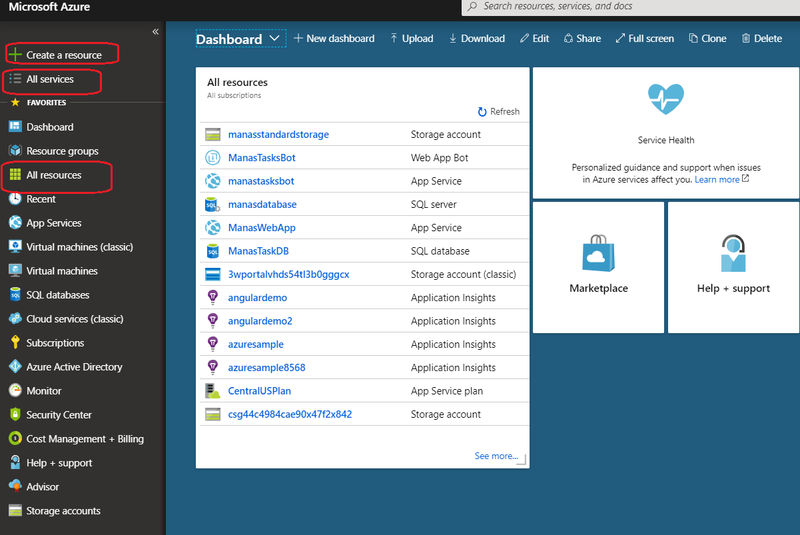 After login to the Azure portal, let’s see, resource providers for my subscription. From portal, select Subscriptions and click on required subscription( we can have more than one subscriptions). Select Resource providers and view the list of available resource providers and its registration status, as shown in following figure. Note: We cannot unregister a resource provider when we still have resource types from that resource provider in our subscription. Now we would like to see the details of a registered Resource Provider. To see that, go to All Services and try to find Resource Explore, as shown in following figure. Once we are on Resource Explore page, expand Providers and select a registered resource provider. For example, here we would select “Microsoft.Batch” provider to see the Locations and API versions of its resource type. We have already seen the same information using PowerShell and Azure CLI in our last article. As shown in the following figure, we can see teh details of “Microsoft.Batch” provider. 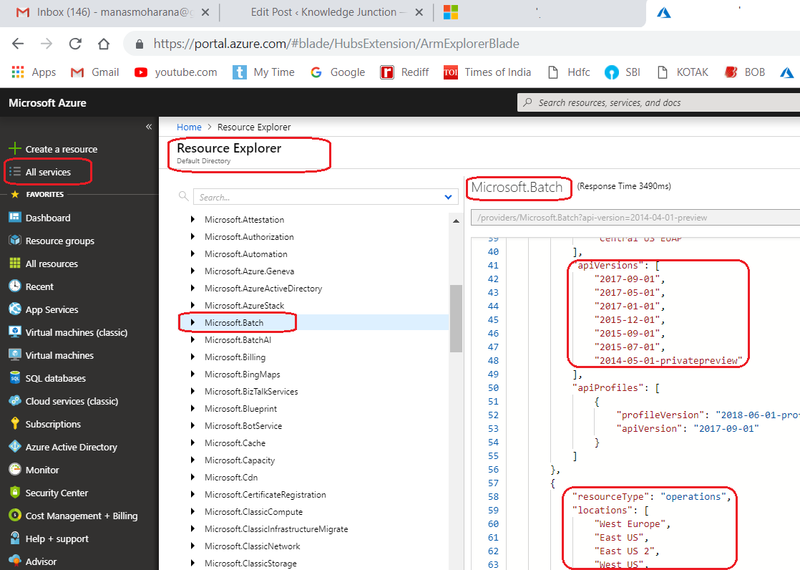 Hope this blog gives you a basic idea of, how can we manage Azure Resource Provider using Azure portal.